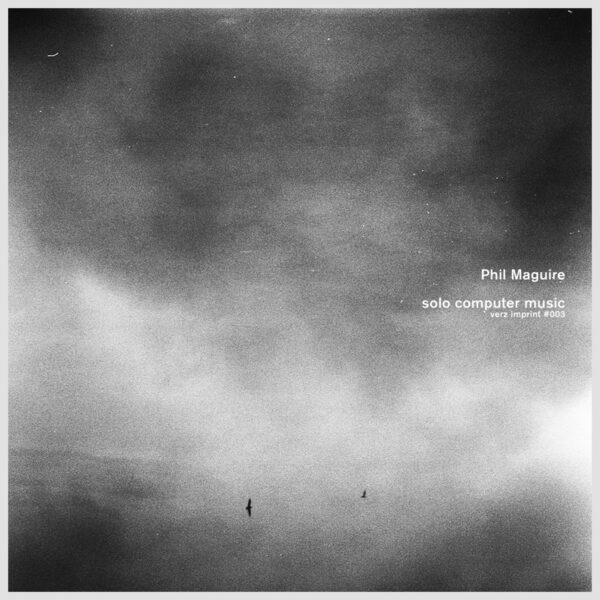 Phil Maguire is an English artiste whose experiments with ultra-minimal digital processing have been arriving here since 2016. I’m often unsure what to make of these sound-art records and find myself pulled in two directions – one day they seem empty and undemanding, the next day incredibly difficult. One day it strikes me as tedious, the next day a charged atmosphere of tension will fill the room. The above mood swings and intellectual dilemmas could all apply to Solo Computer Music (VERZ IMPRINT VI003), a cassette tape replete with a “blank” cover which could be anything to a cloudy sky over London to a detail from an abstract charcoal sketch on cartridge paper. On the A side, ‘There Wil Be No Miracles Here’, Maguire puzzles us with a cryptical humming pitch which is barely audible for the most part, and cuts in and out in a most distressing fashion. Then, short snippets of speaking voices appear sporadically, taken out of context so their phrases appear strange. It’s like being beamed messages from 100 light years away in outer space, or from 50 years ago. My Cold War paranoid tendencies are now wide awake. Infuriating, yet compelling; even the microbes are perched on the edge of their seat as they listen. The flipside is called ‘Probst I’, and like its brother has been edited from a live performance. Blank, faceless, non-musical tones purr and grumble at each other with absolutely zero expression or emotional range, yet there is still enough surface roughness to engage a small ear. Again, chilling tension is the soup du jour. From Feb 2017. Now for some avant-spacerock atmospherics from Cleveland. Anything involving Dave Cintron is welcome in this cabin of space. 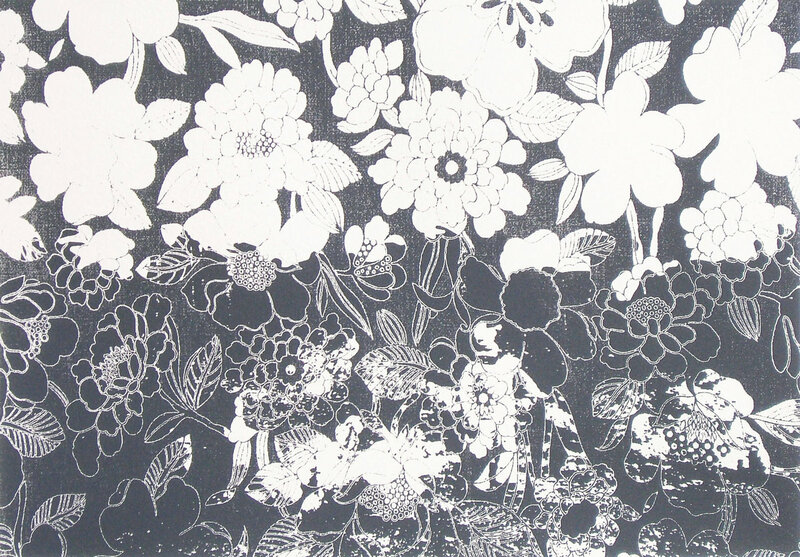 Terminal Lovers, Scarcity of Tanks, Lost Head…and now Blind Spring. 6 (MANITUS MUSICUS MM 7.0) is the debut release of this band which includes Clifford Meyer (from Isis and Red Sparowes), Scott Pickering, and Chris Smith. 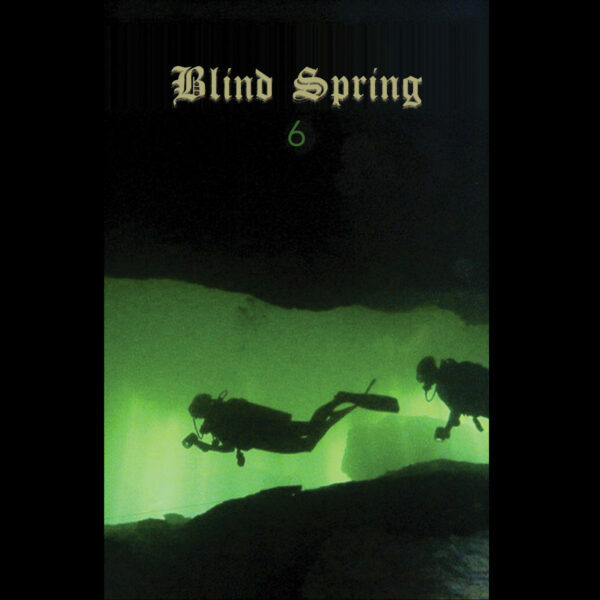 Unlike any of those raucous math-rock-ish bands, the music of Blind Spring is intense and slow, heavy murk fit for crushing the spirit of many a meagre skin-a-ma-link, but executed using a straight-ahead “rock” set up. This means you get meaty guitarists wielding their instruments to create nightmarish scrape-a-thons and eerie outer-space wails, instead of aggressive power chords. Just great…we haven’t heard such inbred dark forms of terror since the days of Locrian. ‘Pilotage’ is an unforgiving sojourn in a windy forlorn street of despair, ‘Recompressed Doplar Detection’ is a horrifying tale of mutating monstrosity, while ‘Open Circuit Buoy’ shows just what this combo can do with the electro-murk Suicide setup, their drumbox set to maddening-insistent mode and unnatural tones and howls pouring out of every sinister instrument. This tape effortlessly destroys 500 identikit releases of “Cold Black Metal” music, mainly because Blind Spring believe in craft and hard work, rather than formulaic noises and lazy genre conventions. Green cover shows deep sea divers swimming towards a grisly fate. You too will soon feel the weight of 50 fathoms crushing your air tanks when you play this great tape. From Nov 2016. 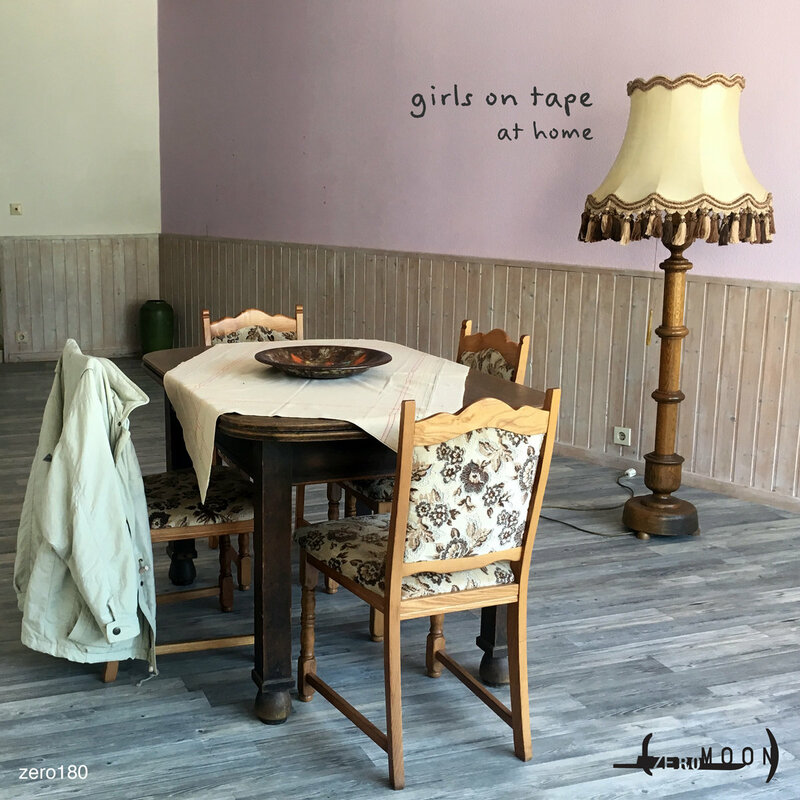 Girls On Tape sees a collaboration between two great guys – European Rinus Van Alebeek, and American Jeff Surak. RVA does the Staaltape releases with their collaged covers in tiny editions, while Surak puts out reams of grisly noise on his Zeromoon label. The two of them met up in Berlin to record At Home (ZEROMOON zero180), with guest appearance from Adrian Shephard; all live recordings, with at least one track done for the radio. Made with Walkman tape players, that Sony device which seemed so cutting-edge in 1982 and is now a relic but one which still holds some appeal for die-hard tape manipulators, such as these two refuseniks. Voices play a big part. RVA plays something called an “acoustic laptop”, which is just plain absurd, but not as grotesque as Jeff with his “lentil crisps”. Neither instrument is likely to appear on a Bjork record any time soon, though you never know. Thrilling listen, full of danger and incident; jumbled collage of abrasive sounds, with distorted voices ripped out of context adding many a frisson of paranoia and tension. So much better than simplistic table noise. Two craftsmen arranging chaotic elements with care and deliberation, yet managing to do it in a live setting, which requires speed of thought and nimble execution (I assume). The seven minute ‘Cipoe’ is a triumph of scrambled thought-processes and disturbing psychic energy, though you may prefer ‘To Think’, 6:37 worth of eerie slow terror and illogical juxtapositions in a work that saps your sanity in unhurried fashion. Marvel at the way they blend and mutate these audio elements so ingeniously. From 3rd October 2017. Mark Vernon is the English tape-hoarder genius who remakes the abandoned effluvia of past generations into wonderful and beautiful sound art. He continues his project on Remnant Kings (COSMOVISIÓN REGISTROS ANDINOS CVRA #006), a cassette tape released on a Chilean label. For this instance, he got most of his source material from a single found tape, a reel-to-reel used by a family to document home sounds in the 1960s and 1970s; his shopping list of the contents is “baby talk, a toy railway set, playing and practising music, bird song, conversation, karaoke style sing-alongs and some home experiments with tape echo, along with popular music of the day”. Some other moments of process-noise have been added, one personal favourite being the electric fan played with a toothbrush. Material which in other hands might simply be a boring vision of domesticity is transformed into a compelling listening experience, one which views the past through a cracked lens. What emerges is surreal, threatening, heart-warming and touching; an unsettling take on nostalgic feelings, emotions which clearly are not to be trusted. Our golden ages are likely to turn into monstrous nightmares at the turn of a corner. The name “remnant kings” comes from a specific shop in Glasgow that sold left-over scraps of cloth, but there are many such places in the UK; for Vernon it’s another metaphor for his technique, and one that’s somehow peculiarly English (thrifty, eccentric). From October 2017. 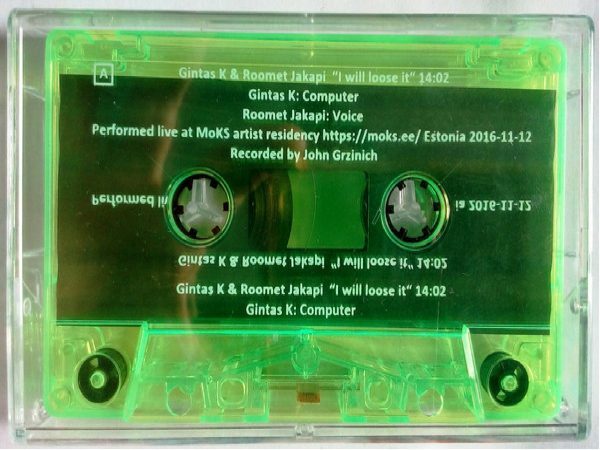 Latest release from Lithuanian electronicist Gintas K is called I Will Loose It (POWDERED HEARTS RECORDS AND TAPES PH16). On the A side, Gintas uses live computer processing to accompany the crazy vocalising of Estonian performer, Roomet Jakapi. This fellow has mostly done his voice thing in an improvising context, but has been known to perform with Edasi, an Estonian band variously described as dark ambient, experimental, and even Black Metal – which intrigues me enough to wonder what their 2014 album The Discoverie of Witchcraft sounds like. On I Will Loose It, Jakapi performs the sort of wordless gibberish made famous by Phil Minton, but executes it at high speed, his lips and throat working at fever pitch as streams of ectoplasmic nonsense pour forth. Quite alarming; Gintas K. struggles to keep pace with the frenetic Mr J, and all too often he falls back on rather obvious performative strategies. An unusual combination, nonetheless. Flip the tape over for 13 mins of Gintas K going solo with his computer on ‘Unutitled’; super-fast process babble, which is a close match to the vocal acrobatics of Roomet Jakapi, dribbles out of his circuits. From 6th October 2017.